Pictured SWR is heading into the 24 race series in confident mood. SWR is heading into the 24 race series in confident mood. After a long winter of preparation with the latest Tatuus-Cosworth BRDC Formula 4 Championship car, top UK motor racing team SWR is primed and ready for the eagerly awaited first race meeting of 2016 a week from now at Snetterton 300 Circuit in Norfolk. 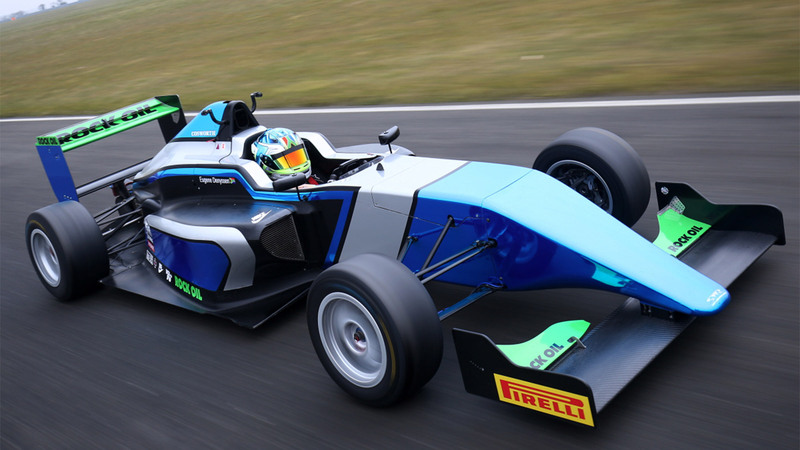 Taking place across Easter Sunday and Easter Monday, 27th/28th March, the opening three races of the campaign will mark something of a new era for the ultra-competitive category with the true main season debut of the rapid 230bhp F4-016 chassis. Chipping Norton’s SWR, a multiple race winning entrant in Britain’s most high-profile single-seater championship, fields a capacity three car line-up which has a distinctly international flavour and is heading into the 24 race series in confident mood. Australia’s Thomas Maxwell, who not only makes his BRDC F4 debut but also his UK racing bow with SWR this season, was confirmed in the team’s final seat earlier this week and brings experience from Formula Ford, where he is a race winner, and also Formula Masters. Likewise, South African driver Eugene Denyssen and Danish youngster Jan Jonck also debut on the British motor racing scene this year and all three competitors are looking to make an impact in the GP3 and FIA Formula 3 European Championship feeder category. Denyssen was SWR’s first confirmed signing for the 2016 season late last year and arrives in the championship after a year on the racing sidelines. In 2014, he competed in South African Formula Ford after graduating from a strong karting career in Mini Max, Junior Max and Senior Max. Danish 17-year-old Jonck raced in the ADAC Formula 4 Championship last year in Germany and was Vice-Champion of Formula Ford Denmark in 2014, where he secured no fewer than seven race wins and a total of 15 podiums during a superb campaign. “We can’t wait for Snetterton next weekend, it seems such a long time since the end of last season so the whole team is raring to go”, said SWR owner Sean Walkinshaw, “Testing with Jan, Eugene and Tom has gone very well, we’ve made good progress and some good steps forward with the new cars so we’re hoping for a consistently strong start to the championship. Provisionally, the opening qualifying session of the new BRDC F4 season is scheduled to begin at 11.15 on Easter Sunday, 27th March, with round one following at 15.35. On Easter Monday, 28th March, round two will commence at 11.20 and round three is scheduled to start at 15.25. Live timing of all sessions will be available at http://www.tsl-timing.co.uk/event/161252.